Tl;dr: I couldn’t find an international symbol for an observer that was mentioned in an astronomy lecture, so I made one, dedicated it to the public domain and submitted it to the Unicode Consortium. This page details the rationale for my submission including files and usage examples. While there are many symbols for astronomical bodies and atmospheric phenomena in the Unicode Standard, there is none for an observer of these. A symbol for an observer can be useful in illustrating scientific discussions. An international symbol for an observer was mentioned and drawn (image above) by Charles Bailyn in ASTR-160: Frontiers and Controversies in Astrophysics Lecture 2 - Planetary Orbits. I went looking for it on Codepoints.net, a site dedicated to all the characters defined in the Unicode Standard, and in Unicode’s own Miscellaneous Symbols and Pictographs chart (PDF, 830kb). My search has been unsuccessful as it seems there is currently no unicode symbol for an observer. 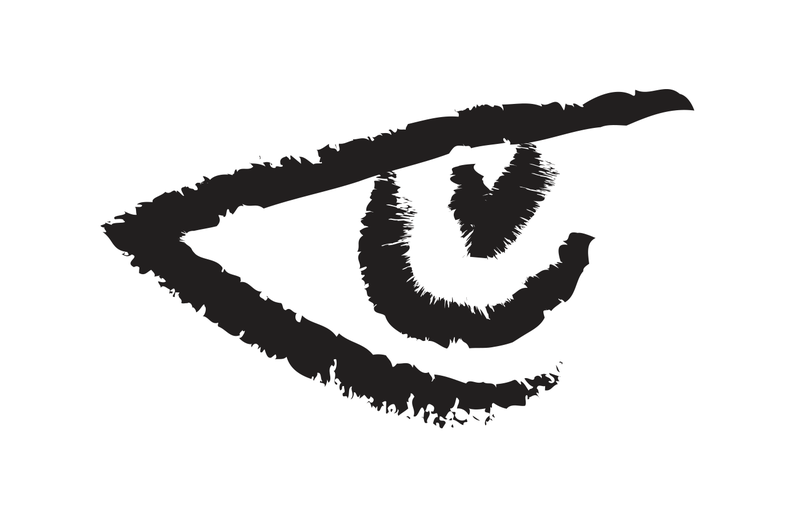 While a symbol for an eye 👁, also known as sight, does exist (U+1F441 EYE — I do not have a font in my system that displays it), I believe it is still worthwhile to have a specific symbol for an observer because the existing eye depicted in a frontal view is more representative of the organ’s anatomy rather than the act of observation, which is better represented by a profile view of an eye indicating a direction. I will continue providing updates here should this little project progress further.